365 Freelance launch their new website! On July 8th 2015 we have launched a new, redesigned version of our website in order to better serve our customers’ and consultants’ needs. 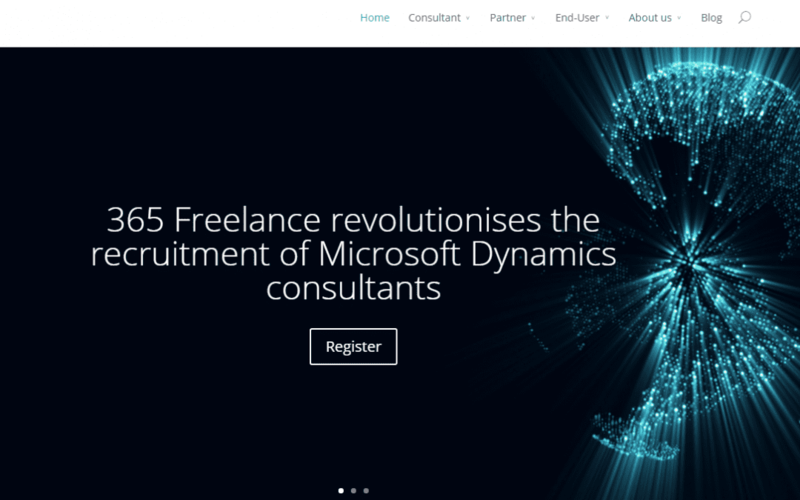 This new version gives you more information about who we are, what we do and how we can help Microsoft Dynamics professionals with their careers and Microsoft Dynamics companies with their recruitment needs. Our website has been modernised and made easier to navigate. We have created three new sections respectively dedicated to Microsoft Dynamics consultants, Microsoft Dynamics Partners and Microsoft Dynamics end-users. We have added information about who we are and what our philosophy is. If you already are a member, you’ll notice that after you log-in, your member homepage will be the same as before: the purpose of this redesign was to provide Dynamics companies and professionals with more information about us whilst keeping our users’ experience undisturbed. You can still count on us to help you in the same way we did before and you can expect the same high-quality, personalised service. We hope you’ll enjoy navigating our new website! As always, we welcome feedback and comments so if you’d like to share your impressions, please do get in touch with us.